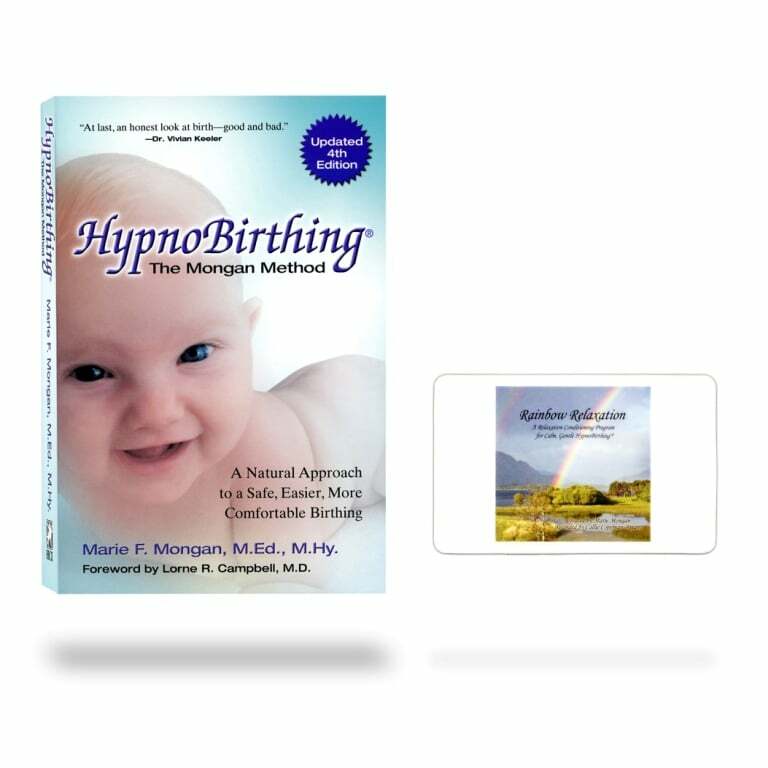 This combination has both our current HypnoBirthing Book: The Mongan Method (4th Edition), along with the purchase of an MP3 drop card (will be mailed to you), so that you can download version for our NEW Marie Mongan Rainbow Relaxation version. This MP3 will come in the form of a ‘drop card’, which will be mailed to you. You simply go to the website listed on the back of the card and enter the short number on the card, and your one-time download is immediately available. Your card is pre-paid, so there is no registering or financial info needed to get your download at the site. (PLEASE NOTE YOU CAN’T DOWNLOAD DIRECTLY ONTO YOUR CELL PHONE FIRST…FOLLOW INSTRUCTIONS AT THE SITE). We are pleased to re-release the original Rainbow Relaxation Version by Marie Mongan recorded in Marie’s voice. This downloadable MP3 is comprised of two tracks. Track one is Affirmations and track two is Rainbow Relaxation. Together with the book HypnoBirthing-The Mongan Method, this CD makes up the basic HypnoBirthing Program. The HypnoBirthing® Rainbow Relaxation is comprised of two tracks. Track one is Affirmations and track two is Rainbow Relaxation. 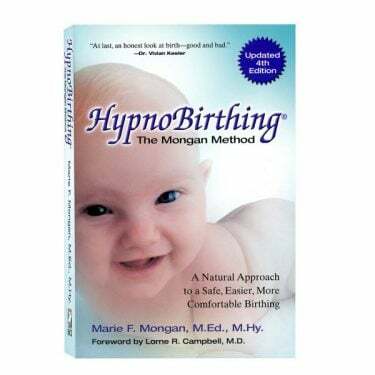 Together with the book HypnoBirthing – The Mongan Method, this MP3 makes up the basic HypnoBirthing Program. You will turn to this book again and again. In this easy-to-read and understand guide to birthing, Marie Mongan explodes the myth of pain as a natural accompaniment to childbirth and offers, at last, the answer to eliminating the anguish of labor. This book, the textbook for HypnoBirthing classes, will guide you through the philosophy and techniques of normal, gentle birthing. You and your partner will learn to use self-hypnosis, guided imagery and special breathing techniques that can help to bring about a shorter, easier, and more joyful birthing, free of harmful drugs for you and your baby. You and your baby will birth in a more comfortable manner. You will be awake, alert, and fully in control.